I had a great conversation with a high school English teacher during #FYCchat about Common Core standards yesterday. As we discussed the shift to more informational text in the curriculum, he said: “I just hope we don’t throw out Baby Macbeth with the bathwater!” I thought that sentiment was captivating. As a proponent of the critical analysis shift demanded by Common Core, I regularly speak out about the divergence from teaching the canon and centering all instruction on works of fiction. As I read blogs and posts I have finally come to realize that there is a serious misconception about what it means to teach skills rather than text. Battle lines are being drawn that demand that teachers get on fiction’s side or the oh, so, awful side of informational text. This fierce call to battle is misguided and ironically built on a failure to read—the actual Common Core standards. The Common Core standards have suggested titles that they recommend based on reading levels. The only texts required actually are Shakespeare and American seminal documents. Yet article after article complain that literature is being dethroned. English classes should not be synonymous with Literature. Literature is a type of English class, just like Geography is a type of Social Studies class. English includes far more than Literature. Unfortunately in our high schools that has not been true. I was blessed to attend a high school twenty years ago that allowed us to choose two of our four English credits. I took a British Literature class and hated it. I learned to sleep with my eyes open and discovered Cliff’s Notes. This is from a person who has two Ph.D.s today. Don’t pretend this isn’t reality for most people, much less a 15 year old cheerleader. When I took Writing & Research, Debate and Speech Communication in high school I thrived. Why? I understood the value. I loved being able to deconstruct what a writer said. I loved looking at a famous piece of art and researching the content of the piece, the context of its creation, and how it was intended to be read versus how people in that era actually responded to it. When I revisited Shakespeare again, I knew to look up criticism and praise for his work. I learned why he was a “great” from informational text. I read reports on how he is unparalleled and crafted fiction in such a unique fashion for his time. I had great composition, writing, and communication teachers who knew that my engagement was a part of their job. It was Mr. Pellerito who taught me to look for claims and warrants. It was Ms. Teague who helped me see that you can make an argument through your word choice or visual cues. It was Mrs. Brooks who taught me why Twain mattered to the American canon. Informational text taught me why Shakespeare was worthwhile. The month long unit when an unnamed teacher plunked Julius Caesar in front of me along with a vocabulary list and test dates did not. She loved JC, but that did not make me love it. I love literature because informational text taught me how and why. I did not just curl up with the Scarlet Letter because I was told to. In fact I never read it in high school. Oh, I pretended to. I aced that test with the best of them, but I did not love it or like it. I was reading Sidney Sheldon and Malcolm X at my desk instead. It wasn’t until I became a teacher and I looked out at faces like mine, holding cell phones, and readily accessing information with the twitch of a thumb that I knew I needed to find out why Scarlet Letter mattered because I was told that for six weeks I should probably teach it. How? Our class read the Harold Bloom critical analysis first (informational text). We read the reviews of Demi Moore’s version of the book and searched IMDB for the risque’ photos and summary, again reading sometime scathing reviews of the film.. We even read comparisons to the pop culture version the Big A. We knew the full story before we ever opened the book. We read why this was significant and we read with critical eyes, challenging assumptions, and questioning as we went. At the end, some rewrote the ending; others wrote essays defending the book as a classic, while some crafted narratives about the characters back stories or lives after the end. Others created Prezis showcasing two different ways to view the protagonist. We laughed, we argued, we complained that these word choices ‘sucked’ and why they seem that way to us, but why they could be interpreted as exquisite. My kids may not love the Scarlet Letter but they know it, understand it, and ‘get’ why it matters. Would they get that through literature alone? Doubtful. Common Core is just asking teachers to think bigger, better, and beyond the book. Common Core is akin to telling you that students have to learn how to play tennis or piano. They are expected to know the game. The game? Deconstructing text. Because in the real world you need to be able to understand text, create text, and interpret text. The Common Core does NOT state that you cannot teach poetry, fiction, or narrative nonfiction. What it does say is that you must teach ANALYSIS. Kids need to know how to deconstruct text. All text. English teachers lament all across the nation that they cannot teach their poetry unit as is. And they can’t. We, English teachers, no longer just teach content. We teach skills so that kids can tackle any content. If you are just teaching the content of books as the center of your curriculum, shame on you. Just because you spent a month on 1984 does not mean that you have helped a child learn any of the Common Core standards. The reverse, however, is true. If you spend a month on the nine—yes only nine—standards you need to teach in literature and use 1984 as one tool to do it, you have helped your students. The message: You teach skills, not book content. Here is an example from my own high school class last year. 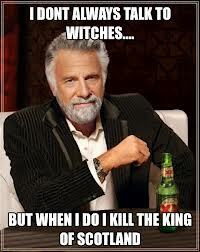 We read Othello. In the same unit we read Brent Staples informational article, Black Men in Public Spaces. In that same unit we read several articles about stereotypes, jealousy, and a critique of Othello. 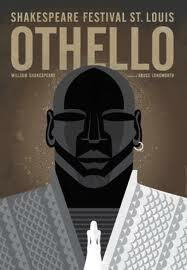 At the end, my students did not do a report on Othello. They decided on what commonality they found among these text and devised a thesis that represented their truth about life. They developed essays around their thesis statement, using textual evidence to support their ideas from the pieces we had read. A few created short Moviemaker films and a few wrote narratives about the prevalent themes they enco untered. Did I have some traditional essays about Othello? Of course I did, but they were not summaries. They were critiques of the value of the text, comparisons to the modernized film O, with varying critiques. Was this hard for me to score? No. We looked at our standards and made a rubric that we could use to assess the skills rather than the content. When we finished, students scored their work on the rubric. I scored it for the summative grade and we critiqued each other in our online class platform by responding to posts and asking critical questions of each other. Throw in the opportunity to read informational text about his plays, to explore themes and central idea, to stop being told what to think and just be given the tools to think. We have those tools nicely packaged…Common Core. This is the official blog of Dr. Roz Linder, an academic, K-12 Language Arts Specialist, former elementary school teacher, high school journalism teacher, and all-around rabble rouser. I am interested in how we equip students to compete in a global community that grows increasingly flatter every millisecond and the practical application of communication pedagogy and Common Core standards.Situated at the intersection of cultural, racial, social, and digital literacy, my blog is all about fostering and supporting the recognition that we don’t teach in your grandad’s America and being happy about that. Let's stop telling students what to think or believe, but prepare students to think critically and often. Once again- a well thought out and reasoned post. Giving me lots to think about! I was very pleased to find this site. I wanted to thank you for this great read!! I definitely appreciate every little bit of it and have you bookmarked your site to check out new stuff you post. Brilliant! As an English teacher from Australia I agree whole heartedly with what you’ve said. We can use stories, use literature, to build critical literacy, rather than simply expecting students to ‘love literature’ because someone told them they should. As English teachers, we need to place the tools (skills) of critical, creative and emotional literacy in our students hands. This empower them. It gives students an authentic voice. I too have found after encouraging students to consider the issues surrounding texts such as Lord of the Flies, To Kill a Mockingbird, Romeo and Juliet or even Macbeth, they are more willing to dive within the text to discover the nuances of language that convey attitudes. Instead of skimming the surface and complaining about studying something that was written ‘ages’ ago, they are able to draw parallels and discover more about themselves and the world in which they live. I am glad you are teaching analysis of text, and agree that critical thinking needs to be a part of how we approach literature–certainly makes it more interesting. I do not understand your use of “deconstruction” as the purpose of that analysis, or as synonymous with analysis, which it seems you are saying here? And I would disagree that approaching literature analytically is anything new for many of us teachers–even some of us who are veteran teachers (veteran teachers sure are getting stereotyped a lot these days). Most good teachers I know do motivate by asking questions, using previewing, etc., and always have. Glad you do too, and are reaching all kinds of students. Thanks for your response. I use deconstruction for a few reasons. One is because of the link to writing. I visualize it as the ability to recognize the parts, how they have been organized in terms of form, purpose, and style, and I am hoping that will link to the construction of their own pieces. Analysis could and is most definitely an synonym. I think that deconstruction just works as a great term to evoke visualization of something put together piece by piece and taken apart. More a person choice versus a reclassification. Why do you think that none of the range of reading standards address the question of the relative amount of each type of text, but instead the issue is relegated to a misleading paragraph in the introduction to the standards, which makes claims about what the standards “require” which are simply not backed up by the standards themselves? The clear textual evidence is that the Common Core standards have no specific requirements for literature/informational texts which are significantly different than the existing ELA state standards I’ve looked at. Essentially all of them call for both, none including the CC standards call for any specific ratio, nor do any other country’s standards, because such a requirement would be arbitrary and outside the scope of this type of standards. The amount of each type of reading should be determined by the amount needed for students to reach the learning goals, period. That’s why even the Common Core standards are actually written the way they are. Seriously, if you’re all about global competition, you’ve lost my ear before you start. Education and competition have as much to do with one another in essence as does peanut butter and a blow-torch. I think that claiming that SOME critics haven’t read the CCSSI is no defense against valid, point-by-point or even general but accurate criticism of those standards. And it isn’t a defense at all against criticism of the arguments proponents use to justify the standards in the first place, which is to say defense of the VERY IDEA of a national framework handed down from on high, for which the vast majority of educators and parents had no input. Note, too, that holding a few public sessions in DC, etc., is hardly proof of a mandate from the general populace. Most people had no idea these sessions were going on, and most of us who did had ZERO opportunity to take time off from work to fly halfway across the country at our own expense to protest or offer input. That aside, it was a completely democratic process. Just like Snyder’s recent end run on democracy in Michigan, and many other smooth operations being pulled locally and nationally. Which is to say, not in the least democratic. So frankly, I don’t care HOW tired CCSSI defenders are of hearing criticism. They’re going to hear it for a long time, first because there was little opportunity for criticism before these ‘standards’ had the force of law (and monetary bribery, high stakes testing, etc.) behind them. Second because there is much that deserves criticism in them (and any thoughtful person involved with their creation should WELCOME constant critical feedback on them. You know – the whole “living document” idea? And finally, because we have to live with these things despite the undeniable fact that there is ZERO research to support the idea that these standards are effective. I am 100% certain that at the 10 year mark from initial implementation, every criticism of US public education, valid or not, that has been raised prior to the CCSSI, will continue to be raised. That our kids’ “performance” on those holy international competitive exams will not live up to our fantasies of “USA #1!! !” and that the media, politicians, pundits, and profiteers will be calling for another utter revamping of the process, at huge cost to the public. Is that tiresome of me to say? Tough bananas, Ms. Linder. I appreciate your passion! I think your arguments and claims go way beyond and into a whole different set of issues than my reply to Dianne did. I am TIRED of uninformed rants. Criticism is another thing entirely, but writing posts about classics being omitted from curriculum when they are actually typed into the Common Core standards and appendices as a suggestions is a waste of time. I think we both agree that you want people to come to the table with their homework done so real discussions can happen. I don’t agree with your points, but I appreciate your passion and the well of knowledge that you are drawing from. Different well than mine, but a well none the less. Those tough bananas? They should make great smoothies. Great post with lots of really logical points! Okay–this type of post is the problem. THE RANT from Michael above is fine and dandy–but REAL teachers still have to teach. HATE the Common Core if you want sir–but it is what is going on. I am with DR. LINDER–I am going to work to TEACH and make sure that I have sound instruction and not waste my time whining about some theoretical crap about this from people who don’t touch the lives of kids. The message I hear is FOCUS on what matters—instruction. Everything else is political baloney. I don’t care about that–I care about the kids I teach everyday. Leave a Reply to Tom Hoffman Click here to cancel reply.